First a short description from the Generative Design book: ‘The sunburst tool is a convenient way to access many important parameters when generating sunburst diagrams and demonstrates all the code in this chapter. In addition, information on folders and files is displayed when the mouse moves over the sunburst diagram. For this purpose it must be determined on which object the mouse is located (i.e., on which ring), and which arc is displayed at this angle. This is complicated by the fact that the rings are drawn with different widths using the calcEqualAreaRadius function.’ And here is the program. Now I want to compare all the reviews together. 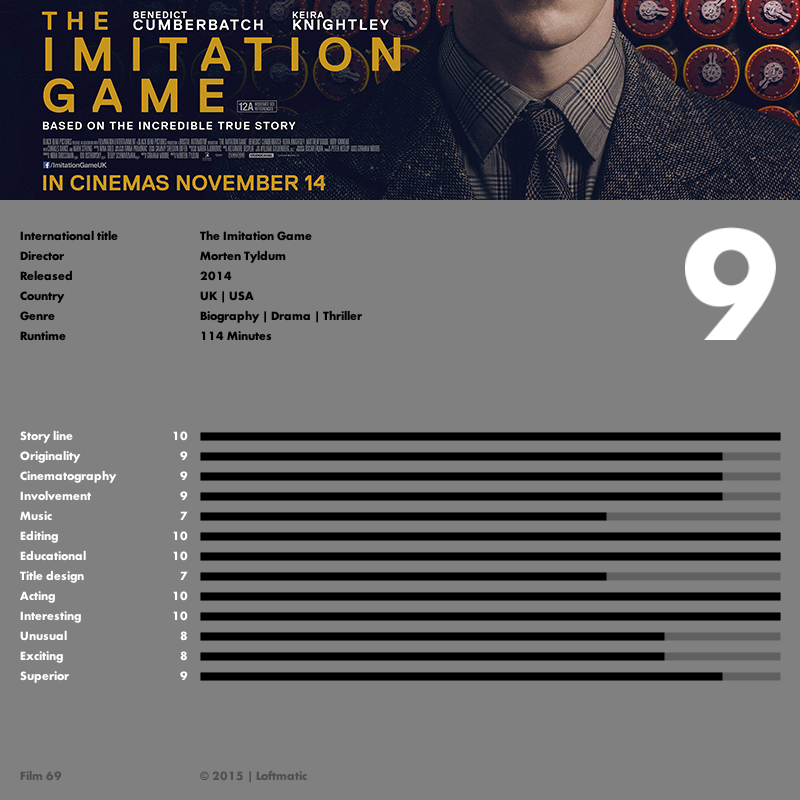 Of all the films we have seen I want to see all ratings of all components next to each other in a sunburst diagram. That means I need to modify the directory structure. All films are now in one directory and they are arranged on date. But now I want all scores of Storylines (from 0-10) in one directory. Roughly, I will have to place manually 100 films in a new directory called: ‘Storylines’. And the same I have to do with the other components. Originality gets a directory with all the scores of all originality components of 100 films. Cinematography gets a separate directory with all the scores of all cinematography components of 100 films. That means that I have to put 1300 files manually in separate directories. That took me two days. Indeed, it is very boring paperwork. And if something is boring the work slows down and it takes more time. Maybe I could have create those directories using AppleScript but I did not know how long it was going to cost me to make a script for it. Doing it all manually I was sure it was finished after two days (although I did not know that it would take me so long). Then it’s a matter of running the sunburst tool for 13 times. Feeding it with the different directories and make screen dumps. All inner rings represent 10 scores. The rings to the outside represent the 9, 8, 7, 6, 5, 4, 3, 2 and 1 scores. The outer ring represents the 0 scores. I was surprised because the result is visually as dull as the work of the past two days. Because the visuals were all rather disappointing, I just looked what happened when I feeded the sunburst tool with entire file structure of Generative Design Variations. That looked better than the results of the past few days. The same, I tried with my internal accounting (bookkeeping) directory. And with the directory of my loftmatic website. It all looked very interesting. I copied the file structure of the film review data from my desktop to the Generative Design Variations folder and then I’m went to watch the last episode of Sherlock. The next day I opened the Generative Design Variations file structure in the sunburst tool. I worked on that since October 2013 and it contains at this moment 36260 items. It looked very different as the results from the day before. In fact that is right because I had added the film review data directory and files the day before. It looked even better. I worked a few hours with the sunburst tool to create variations using the Generative Design Variations directory, my accounting directory and the loftmatic website directory. That led to better results. And my work of the last two days had still been useful. Looking back at this session, I must confess that the sunburst tool leads to good results if you have a complex file structure. The advantage of the sunburst tool is that anyone can use it. But that is an immediate disadvantage because you get almost always similar results. Less complex directories deliver different results than complex directories with lots of levels, folders and files but the design language is recognizable. And as a designer you don’t always want similar results. In fact I would like never to have similar results if I don’t need them. So I think that every tool that you use should have more variables to change the visualization. And that is the nice thing of a programmed tool because you can always change the code to your specific needs.